How beautiful is this weekend bag by Vida Vida? It has completely captured my imagination, I’m yearning for some old school travel via the Orient Express or with a sticker-covered suitcase in tow in some exotic destination. As practical as wheelie cases are, they just tend to look the same and show no personality at all. 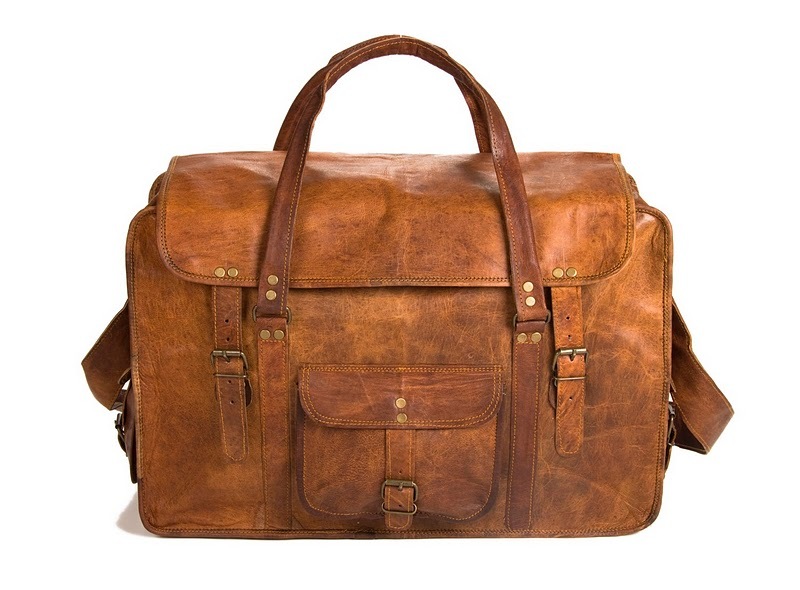 This distinctive bag has a bit of a vintage look, as it’s all natural leather the colours will vary giving it a slightly battered look, the sort of look that makes you wonder where it’s been and what it’s seen on it’s travel. Much more interesting than a non-descript black wheelie case! I don’t think I’ll be taking it on the Orient Express anytime soon, but I could just imagine taking it for a short weekend jaunt to The Cotswolds with a really low-key outfit – some comfy flat ankle boots, a pair of battered Levis cut offs, a casual Alexander Wang tee and perhaps a big floppy bag. Oh my gosh, that is the most gorgeous weekend bag! I know it's got that worn look already but it's definitely something that will look even more amazing after a couple of uses! There have been many choices of varieties of bags available in the market with various designs and cost of price, so the mentioned pics of the bag should be more in quality as well as prices which offers a huge amount or price for afford.